After a tough couple of years for Mah Sing Group Bhd, their 2018 full-year revenue and net income are forecast to be at a 5-year low, at best. Group managing director Tan Sri Leong Hoy Kum, however, sees the decline in annual property sales stabilising this year. “At the very least, I do not see a further dip, thus, revenue would not see big fluctuations,” Leong is quoted as saying by The Edge. Revenue is expected to fall 19.5% year-on-year (y-o-y) to a five-year low of RM2.35 billion, according to the average estimate of 13 analysts who are tracking the stock, while FY2018 net profit is forecast to to be a third lower y-o-y at RM239.1 million, or a six-year low. A slight recovery is projected for FY2020, of a mean revenue of RM2.49 billion and net profit of RM254.8 million. The issues plaguing the property market, of the overhang units (unsold homes nine months after completion) reached 24,738 by and-2017, a 67.2% increase y-o-y. Overhang value surged 82.8% to RM15.64 billion, and the number continued to rise over the next six months. Mah Sing’s full year results are expected later this month. 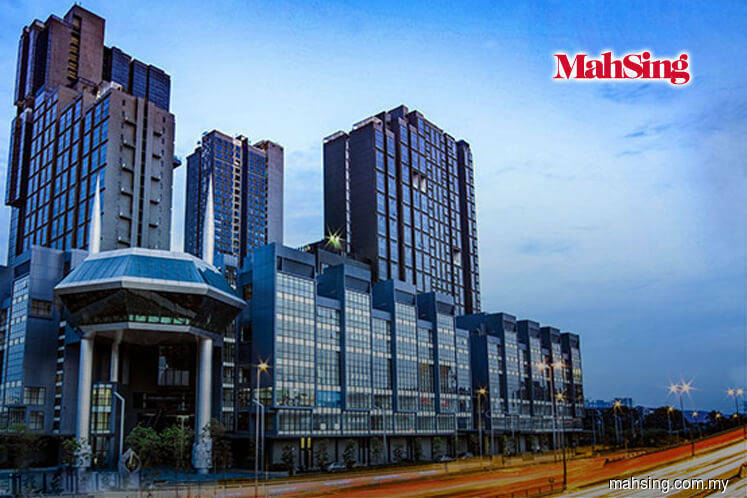 On average, Leong says to the publication, that Mah Sing’s new launches have seen a take-up rate of 70% and 80% in the recent slowing market, though the time it takes to convert the take-up to sales is lengthening. A new pipeline of launches this year worth RM2.2 billion in gross development value, approximately half of which is priced below RM500,000 while 31% are priced between RM500,000 to RM700,000, generally consistent with Mah Sing’s sales mix last year. Icon City 2 a commercial development in Petaling Jaya has a gross development value (GDV) of RM2 billion, but Leong says that only RM400 million was included in the current new launch pipeline of RM2.2 billion. Depending on market conditions, more phases could be launched this year. Icon City 2 spreads across 14 towers, with 30 shopoffices, 58 retail shops, 582 residential units and 456 small office, virtual office (SOVO) units, plus a nine-storey office tower. Leong cites Napic statistics that show occupancy rates for purpose built offices in Petaling Jaya rose steadily from 2012 to 2017 as a reason to be confident that Icon City 2 will do well.